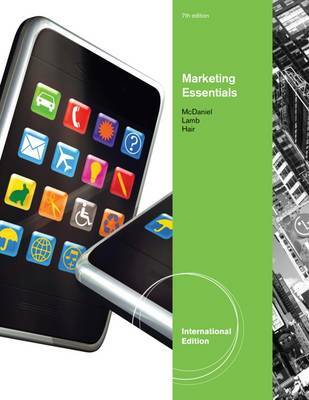 Achieve marketing success with the best up-to-the-minute coverage of key marketing topics in this complete, yet brief, MARKETING ESSENTIALS, 7E, International Edition by award-winning authors McDaniel/Lamb/Hair. This edition's fresh, streamlined design focuses on captivating examples and innovative applications that ensure readers not only understand marketing concepts, but also know how to effectively apply concepts to actual business practices. This edition visually illustrates key marketing concepts and showcases the customer experience with an engaging writing style punctuated by the most recent marketing statistics and figures. A new appendix and exercises further prepare readers with the skills to build a professional marketing plan for success.